I came across an image on Instagram that took my fancy this week – in many ways it summed up Whānau Ora; that all-consuming, all-embracing love that our parents gift us. We can do no wrong, even though on a daily basis they help us to see how we can do things better, more successfully, more efficiently, more effectively. In doing so, our whānau demonstrate a lifelong commitment to quality assurance – knowing that if they keep polishing away, their beautiful treasure will shine all the brighter. The legacy of love that keeps hope burning bright has been uppermost in my thoughts this week as once again I have travelled through the places my mum loved as home. This is a photo of my mum Alison, and her mum, Elsie Muriel McKay, JP, MBE. Nana always loved those letters after her name. Her letters to me would be signed love Nana. JP. MBE. To her the letters reminded her that she was a servant of the people, that she had dedicated her life to serving the West Coast, whether it be on the bowling green, the bridge club, the Townswomen’s Guild, the high school library, mahjong mornings, tennis afternoons. But for me, perhaps the greatest memory I have of Nana was reignited this week, through one simple sandwich. 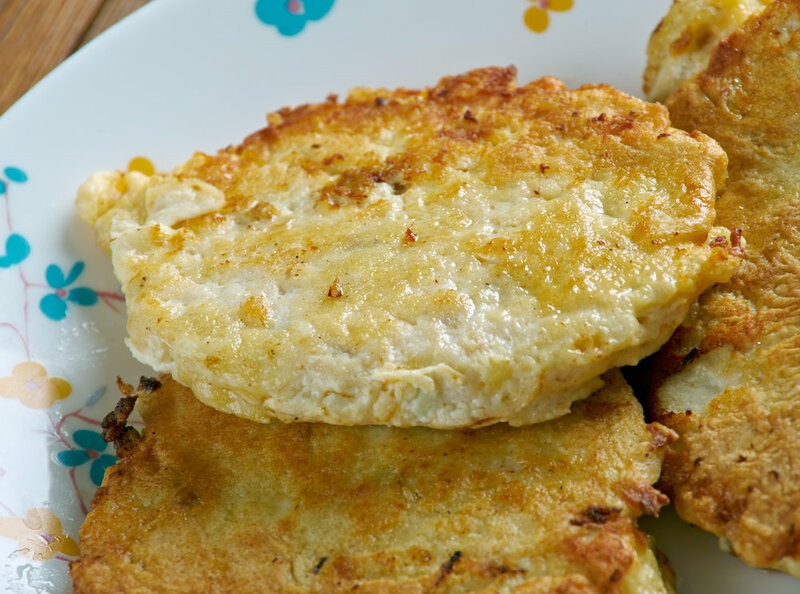 Whitebait fritters. Is there anything more perfect? I can remember arriving at Milton Road (Greymouth) and Nana having everything ready for the banquet: patties popped full with little white eyes, a petite slice of lemon on the side, a triangle of white bread, and a half glass of milk to finish it off. Bliss. Our trip to the Coast was to highlight some of the opportunities available through Wave Five of the Investment Round. We have had overwhelming interest in putting forward applications that can assist all of our whānau to be self-determining; to live healthy lifestyles; to be cohesive, nurturing and resilience; to be guardians of our natural environment, to confidently participate in society and te Ao Māori, to be economically secure. In responding to the increasing enthusiasm for whānau generated ideas, transformation led by whānau, we have extended our closing date to Friday 14 October. I loved the unconditional adoring love of a mother for her daughter, when talking with Missy Campbell who introduced me to Maia, the future Kaiwhakahaere for Te Rūnanga o Ngāi Tahu! Of course our contract advisor, Trisha, also had some ideas about future contenders for the position within her own whānau – but the pride and belief between the mothers was unmistakeable. We all need someone who backs us all the way! We’d landed at Arahura Marae in Hokitika after travelling through the unique road-rail bridge at Taramakau. In my grandmother’s day and before, road-rail bridges were a common landmark. There were 42 such constructions across New Zealand, including of course the distinctive double-decker bridge crossing Awatere River at Seddon which was in business for over 100 years until 2007 when a new road bridge was built. When the Awatere Bridge was opened on 10 October 1902 the day was declared a public holiday in Blenheim and over 1500 people travelled to the opening. The Acting Premier, Sir Joseph Ward, opened the bridge and in recognition of the event, the name of the town was changed from Starborough to Seddon. The Taramakau Bridge will also go through its own transformation; building on a new two-lane road bridge starts later this year and will take about two years to build. At the same time there will be a separated off-road facility for pedestrians and cyclists, leaving the existing bridge for rail only. Bridges of course, are a great metaphor for the process of Whānau Ora transformation – finding a mechanism to reach out to whānau, to provide them with support and a strong foundation by which to take first tentative steps towards a new way of looking at the world. How proud can we be in Te Waipounamu of all the amazing rangatahi who have represented us up in Whangarei this week at the national Māori speech competitions, Ngā Manu Kōrero. 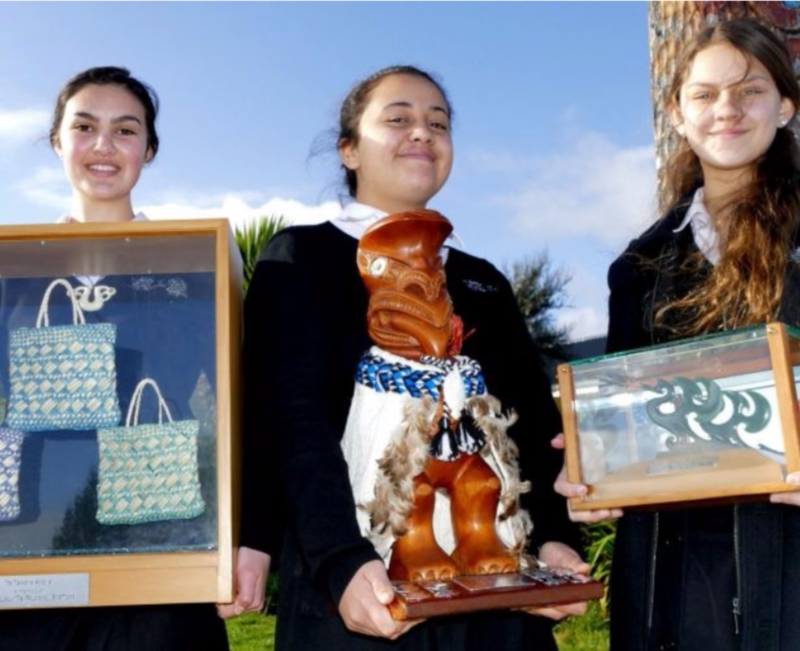 The joy and pride of Te Waipounamu, of Ngāi Tahu reached an all time high at the announcement of Hinepounamu Apanui-Barr, winner of the Korimako Senior English trophy, for best overall impromptu speech and best prepared speech. Te Waipounamu was well represented this year from across the three regions: Te Tauihu; Ōtākou/Murihiku and Waitaha. Pei Te Hurinui Jones (Senior Māori): Puawaireti Matiu (Te Kura Kaupapa Maori o Tuia Te Matangi); Te Ngaru Wehi (Otago Boys), Te Matau Flanagan (Cashmere). Te Kura Kaupapa Maori o Tuia Te Matangi students: Ebony Alleyne, Elizabeth Lucas and Sonaia Beard Photo: Simon Bloomberg. Mei Rīwai Couch, Junior English (Waitaha). It is so inspiring to see all our young people flourish in their various pursuits. This weekend, some of our team are joining with 800 others at the sixth annual http://www.festivalforthefuture.org.nz/Festival for the Future, on Auckland’s Aotea Centre. We can’t wait to see the impact of this weekend’s festival and what will come out of it. Make sure to put these in your calendars! 20-24th October : Wānanga Taiaha, Awhitu Estate, Taumutu. All Wānanga Tāne are for tāne, ten years and over, unless supported by a Matua aged 18 years and over. For those of you with Facebook accounts, you may have noticed a tsunami of people sharing videos of them doing 22 push-ups. The purpose of their effort is to raise the profile of suicide awareness, motivated by an American campaign, Mission 22. Mission 22 was instigated to raise issues to do with veterans, including Post Traumatic Stress, Traumatic Brain Injury, suicide and suicide attempts. While the campaign itself has come into question, you have to applaud the efforts of anyone who wants to raise awareness about how we care for ourselves. This week, many of us were really touched with the heartfelt message shared by young Marion College student, Ngahiraka Dallas, who raised the question about whakamomori with direct relationship to Aotearoa, and particularly the fact that out of the 500+ New Zealanders who commit suicide each year, the majority are Māori men. Young Maori are two-and-a-half times more likely to commit suicide than non-Maori youth. Ngahiraka’s approach was simple, yet profound: she asked her peers what was one word that was associated with suicide for them? Bullying. Disappointment. Loneliness. Loss. She then turned the question to what would bring about a change? Communication. Happiness. Support. Family. Reach out. Speak up. Reach out. Because there will be someone to listen. I loved her message. All it took was 34 seconds. Her video has earned her a place amongst ten rangatahi participating in Te Pokai Ao, a Silicon Valley 'boot camp' for year 9 and 10 Ngai Tahu students across New Zealand. Ngahiraka and the team depart Aotearoa on 1 October 1 to spend five days in Silicon Valley, to visit Stanford University, network with the Facebook and Google community, and learn about what skills and experiences are needed for a career in science and technology. 69 rangatahi had applied to be part of Te Pokai Ao. That figure alone is exciting. It shows us our young people are out there thinking, dreaming, creating, innovating. They are building bridges from the past to the future; carving a new highway of possibility for their mokopuna to follow. And in doing so, they inspire hope in us all. Kia hora te marino, Kia whakapapa pounamu te moana, Kia tere te kārohirohi, i mua i tō huarahi. May peace be widespread. May the sea glisten like greenstone, May the shimmer of light guide you on your way.